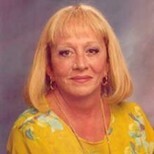 Sylvia Browne is world renowned for her psychic talent, her counseling ability, and her research into parapsychology. She lectures, teaches, and counsels people from around the world. Sylvia manifested her psychic ability at the age of three in her hometown of Kansas City. For many years, she shared her gift with friends and family and became known for helping people to see their future. To further her research into the paranormal, Sylvia incorporated The Nirvana Foundation for Psychic Research, a professional, legally sanctioned, nonprofit organization, which is now known as Society of Novus Spiritus. Since then, Sylvia has helped thousands of people gain control of their lives. She has written a number of books, including New York Times bestsellers like The Other Side and Back. Sylvia’s philosophy of life is based upon research into past lives via hypnosis and through the information obtained via her deep trance channeling ability. From thousands of hypnotic regressions and hundreds of trance sessions, the fact of reincarnation was established as the key to understanding life. Sylvia accepts reincarnation as a central theme in her philosophy, yet this belief is never forced upon anyone who does not want to hear it. Sylvia’s talents have been showcased on national programs such as the Montel Williams Show and Larry King Live. She does many public appearances each year, such as her two hour one woman show and charitable benefits, especially for AIDS-related organizations. She is involved with community activities and donates many hours to help find missing children and also working with police to solve crimes. • The Odyssey you are about to embark upon is probably the most glorious journey you will ever take. It is a spiritual banquet of knowledge that fills the soul with realization and truth. • There is nothing more fascinating, more intensely personal, and more uniquely ours than the voyages our minds and spirits take while we sleep. These dreams and other adventures confuse us, alarm us, preoccupy us, relieve us, amuse us, comfort us, inform us, enlighten us, and above all, keep us more sane and whole than we could ever hope to be without them. Our sleep journeys, even the nightmares, are gifts, our allies, to embrace rather than dread, and worth every effort it takes to unravel their mysteries and cherish every valuable lesson they have to offer. • I believe in the other side and the eternity of the soul. I believe our spirits make the round-trip from this world to The Other Side many times, by our own choice, to learn and experience for the ongoing advancement of the souls God gave each one of us. I believe that only a thin veil separates our earthly dimension from the dimension of The Other Side. I believe that The Other Side is Home, where we all came from and where we will all go again, and that we carry very real memories of it in our spirit minds. And I believe it is on The Other Side, between what we call “lifetimes,” that we are really at our most alive. • A person in grief is a person who’s in pure survival mode. Breathing, eating, and sleeping may be about the best they can do for a while. Taking care of the basics for them without their having to ask—grocery shopping, tidying up, doing their laundry, whatever you can manage without making a pest of yourself—can make an enormous difference until they care enough to start wanting to do those things for themselves again. Almost every religion on Earth accepts the fact that our spirits survive death. But tell people you can communicate with those spirits and they will think you are nuts. So spirits exist, but we can’t communicate with them? I think that’s nuts. Of course we can! And we do, all the time, whether we are aware of it or not. Sylvia’s book takes us on a fascinating journey to the “other side” and functions like a comprehensive manual on living a spiritual life. Her twofold purpose, she states, is to help readers use their psychic abilities to create health and to reveal the nature of the “other side,” the place where spirits reside after death and before they are reborn into new selves that retain programming and memories from previous existences. • How spirit guides and angels “talk” to us—and how we can nurture them. • How ghosts differ from spirits—and why hauntings occur. • How the dead communicate with the living—and what they can teach us. • Reincarnation and how we can reunite with our past lives. • The three simple steps to developing your own psychic skills. • Must-read predictions for the coming years. Sylvia Browne frequently discusses her spirit guide, Francine, who has helped her grow along her personal journey. The Other Side and Back has the ability to draw you in and keeps you thinking about your own journey toward greater spirituality.